Astrology is the study of influence of stars and planets on each individual for it is said to play a major role in shaping their personality along with their future. It is the five thousand year old study of the influential effects of the sun, moon, stars, and planets on events on the earth and horoscopes are predictions or insights into our lives, made by studying the stars in our sign on the zodiac. Astrology aids in discovering the innate power to create each day and design your destiny by merging ancient wisdom with practical living. The history of astrology encompasses a large span of different cultures and human history. Astrology reflects the understanding and experience of ancient spiritual teachers regarding the facts of life. The latest discovery in astrology can correlate the patterns of the solar system with the patterns of our lives which impact us from moment to moment. There are patterns of growth and patterns of potential in the evolution of each individual. Life cycles and various stages of life are illuminated through the astrological use of progressions and transits. In today's modern world many individuals express an interest in astrology for a variety of reasons. Beyond looking at Sun signs, a personality profile is usually one of the first areas in which people apply the techniques and traditions of astrology. However looking at the other side of astrology there were also many critics challenged by Hellenistic skeptics, church authorities and even medieval thinkers. Simultaneously there was conscientious or concerted effort toward enrichment of the astronomical knowledge and various contributions in this field by celebrities like Galileo, Kepler, Carl Jung, Copernicus, etc. 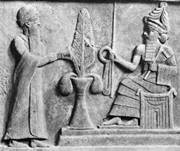 Astrology which is believed to be had its origin during the 2nd millennium BC was the period of ancient Babylonians. The principles of astrology along with its different methods came up after the Babylonians started following the celestial omens. This method of following the astrology with the celestial omen soon spread in different other parts of the world like Asia,India,China Europe, Greece and the Middle East. Since there was already various concepts regarding astrology was existing in these countries it paved way for the origin of astrology. Sage Parashara who is believed to be the founder of Vedic astrology did a lot of detailed studies regarding this and finally inferred with the Hindu astrology. Astrology, both Eastern and Western are based on a predictive system very similar to to the one used by meteorology. The Egypt's were the early people to follow the Babylonian principles of astrology as early as the 1st century BC soon after it was conquered by Alexander. The Greeks started following the Babylonian astrology during the mid 4th century BC.As Egyptians were already following the decanic astrology it soon got merged with the Babylonians and resulted in also the finding of the Horoscopic astrology which was very quickly followed in different other parts of the world like Europe, the Middle East as well as India. Apart from all this it also played a major role in the revolution of science by developing different fields like astronomy, mathematics, medicine and psychology. The early records regarding the movements of the Sun, the Moon, the planets and the stars was got from astronomoy, influenced by astrology. Astrology and astronomy had most of the things in similar. Vedic astrology is an integral part of this culture and has been practiced since time immemorial. We also get to know from various collections of texts and other records that the origin of Indian astrology is also attributed to various gods and Rishis.Infact the basis of the astrological principles which is followed now are the ones written by Rishis like Parashara, Varahamihira, Garga, Jaimini and their followers. According to history and archeological evidences the extensive written discourse on astronomy belonged to the 5th century CE which is referred as the classical age of Indian astronomy. There is also a mention about astrology by Kalyanavarman in his ancient scriptures like `Brhat Parasara Horasastra` and `Saravali`.Even in the epic Mahabharatha,episodes like `Bhishma Parva` and `Udyoga Parva`state many astrological descriptions and omens just before the Mahabharata war. There is a very thin margin between astronomy and astrology for happenings like two eclipses, a solar eclipse and a lunar eclipse occurring, creating a rare 13 day lunar fortnight were first depicted only in an astrology scripture. In India there was basic school for Vedic astrology and it was called as Parasara School of astrology, which was named after the last of the Rishis (great sages) of the Vedic age.Howevere after his period there were so many distinguished scholars into Vedic astrology of which there were two notable eminent persons namely Satyacarya and Varaha Mihira.They did a detailed study on astrology and wrote many books on the same. Some of the classic works include Jataka Parijata` and`Sarvartha Cintamani.Indian astrology was introduced in India at the very ancient period and was carried till date with various developments in modern times in this field. Even in the recent times the ancient scriptures written in the past are used to make accurate predictions. Now apart from the various methods followed in astrology there are also different types of astrology that modern astrologers use as their main traditions like Chinese, Indian, Mayan and Western astrology. Western astrology has greatly diversified over time with the introduction of new movements and different approaches.